Engineers say they are 'confident' the rail line through Ayrshire will reopen on Monday after work to remove derailed wagons was completed. Two trains carrying ballast for engineering work collided on the track at Logan, near Cumnock, two weeks ago. 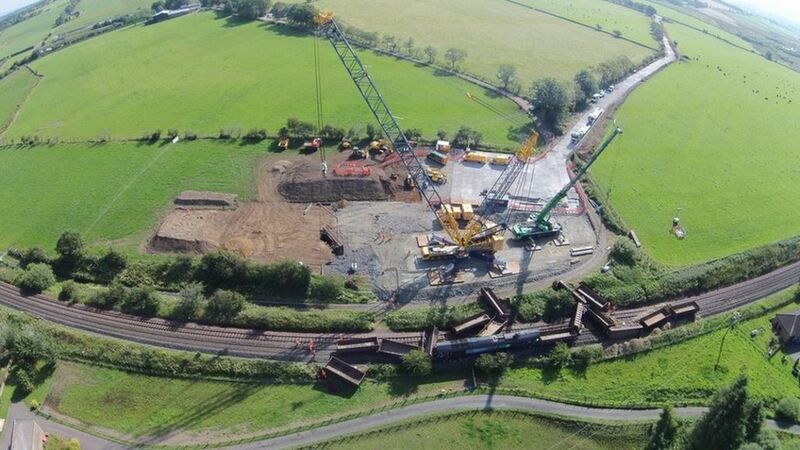 Network Rail said a 130-tonne locomotive engine and 16 wagons were moved from the site by Friday. Engineers are now working 'round-the-clock' to repair the damaged track in time to reopen the line. Before lifting the engine and wagons, engineers had to first construct a 350m-long haul road, and operating pad, for the 1,000-tonne crane which was required to remove the wagons and the locomotive. Engineers say they are "confident" the rail line through Ayrshire will reopen on Monday after work to remove derailed wagons is completed.